Through 30 years of working in loud environments, Howard Leight has learned a few things about blocking out the noise and listening to what’s important: industry-changing advancements in hearing protection. Howard Leight by Honeywell is a leading manufacturer of personal protective equipment (PPE). They manufacture products, like the 2.2 billion ear plugs each year, which prevent workplace hazards and injuries. High-tech may not be what comes to mind when you think of ear plugs and hearing protection, but Honeywell is at the forefront of developing tech-savvy solutions to prevent hearing loss and damage. Honeywell makes safety a top priority, making them a trusted name in the PPE industry. Motionstrand and Howard Leight by Honeywell came together over a decade ago and since then we have created multiple digital solutions, from a custom CMS to an interactive product selector. Over the course of 10 years, Motionstrand has built websites, iOS applications, and digital touch screen displays while working with multiple iterations of the Honeywell and Howard Leight brand. 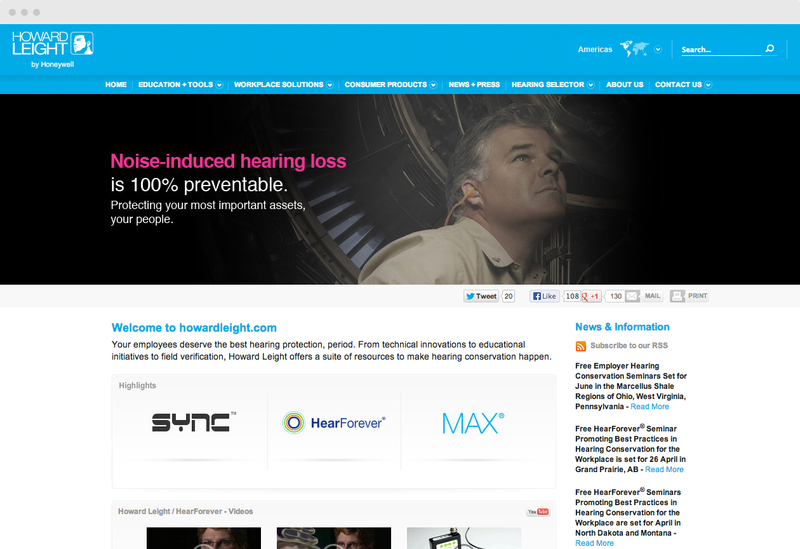 In 2014, Motionstrand spearheaded a redesign of Howard Leight's main website. This site needed to showcase Howard Leight's product catalogue, in addition to providing essential information and education tools. 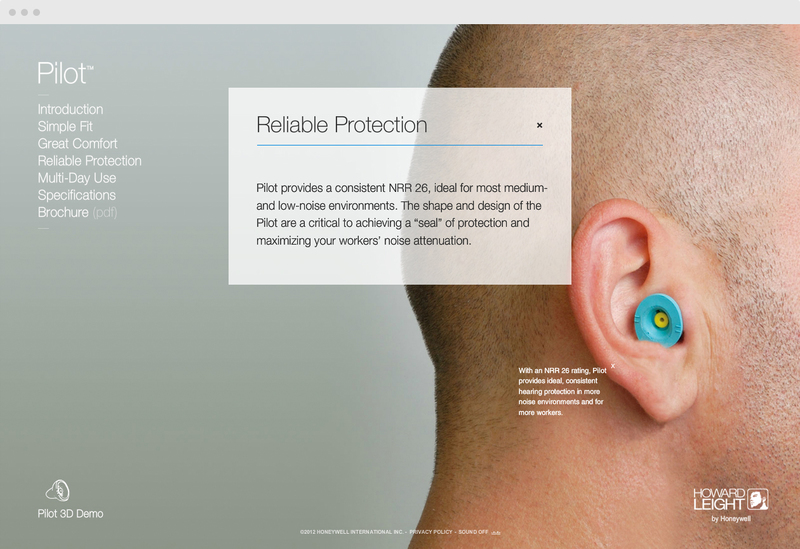 Part of howardleight.com includes a microsite for Firm Fit, one of their bestselling ear plugs. This microsite features a clean design and responsive interface. 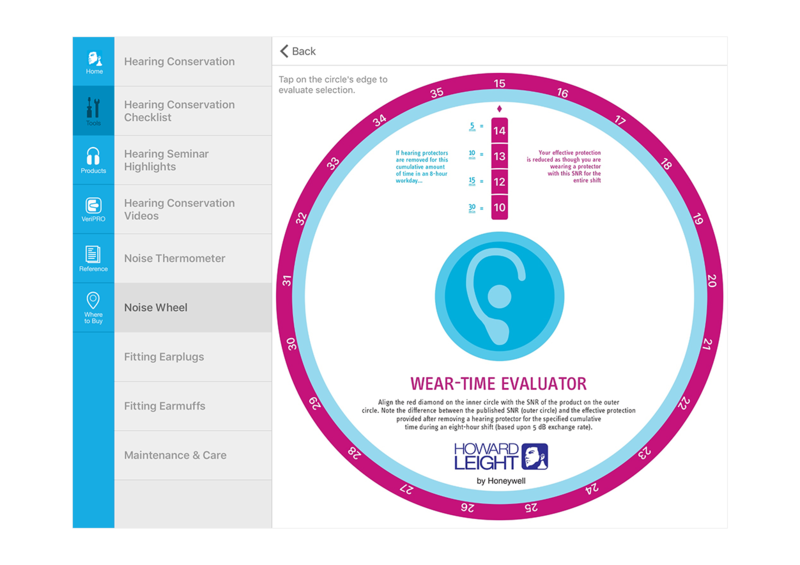 In 2016, Motionstrand developed the Hearing Conversation Tool Box, a custom iOS app for Howard Leight that serves as an educational resource with hearing protection seminars, demonstration videos, and a product locator. Safety is Howard Leight’s top priority and keeping work environments safe relies on the proper use of ear plugs and earmuffs. Howard Leight provides seminars, presentations, posters, and other tools that educate employers and employees on how to minimize noise hazards in the workplace. Clean, simple, straightforward. Howardleight.com has an intuitive navigation menu that clearly displays everything Howard Leight has to offer. 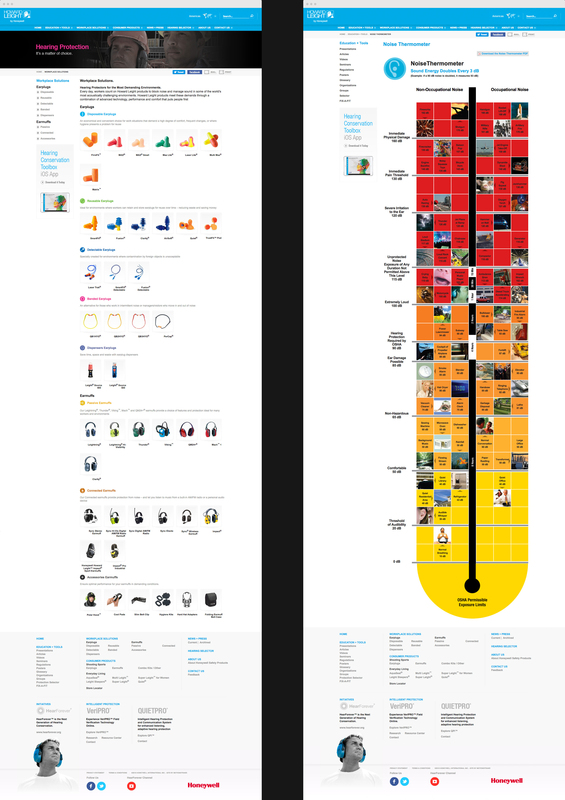 Information is key when it comes to the PPE industry. 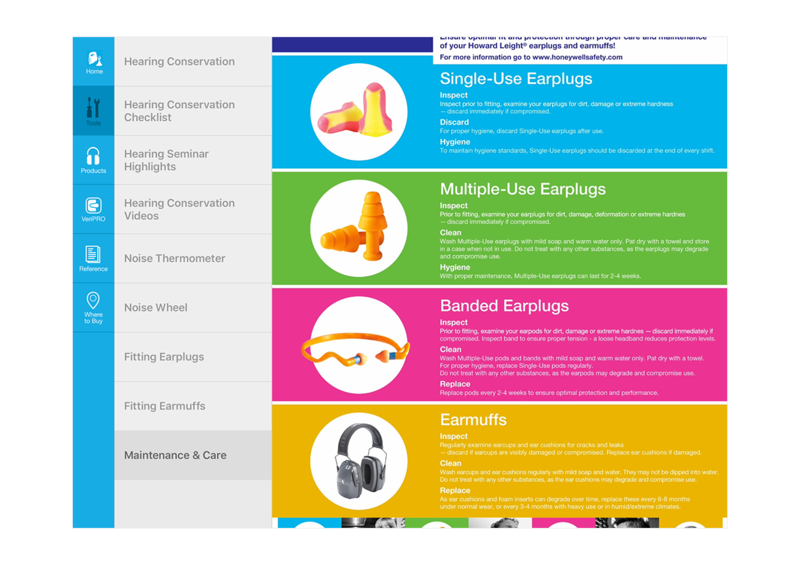 Whether a user needs hearing protection for work or for personal use, the details matter. Howard Leight’s website features a user-friendly navigation menu and homepage that doesn’t leave users hunting high and low for the information they need. “Stunning” is probably not what comes to mind when you think of a website for ear plugs, but Try Pilot is just that. Try Pilot’s beauty is in its fresh design and elegant functionality. The graphics are bold, but not intrusive. The information is concise, but not incomplete. 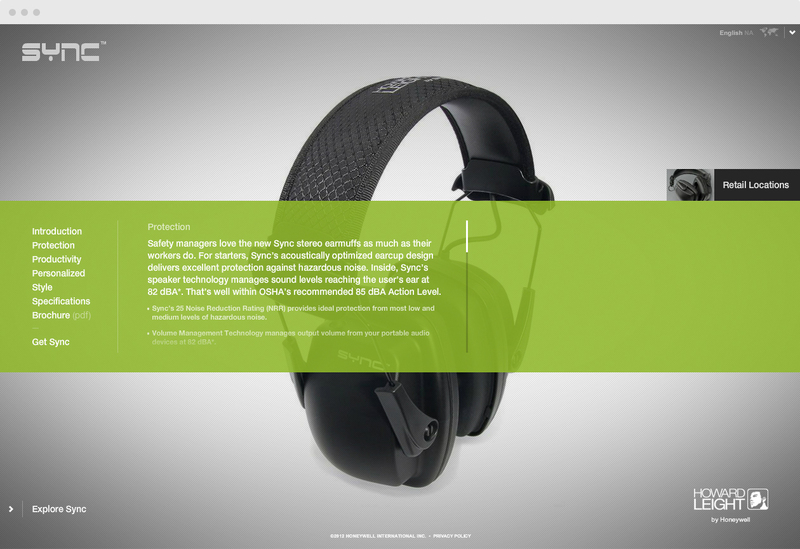 Motionstrand’s refreshing take on the traditional product page makes Try Pilot truly timeless. Developed for an international market, Play it Safe is a product page with universal appeal that’s available in 12 languages across 5 continents. A global product page requires a user interface that can be translated not only through language, but through its functionality. Motionstrand designed Play it Safe with a user experience that can be easily understood by users all over the world. 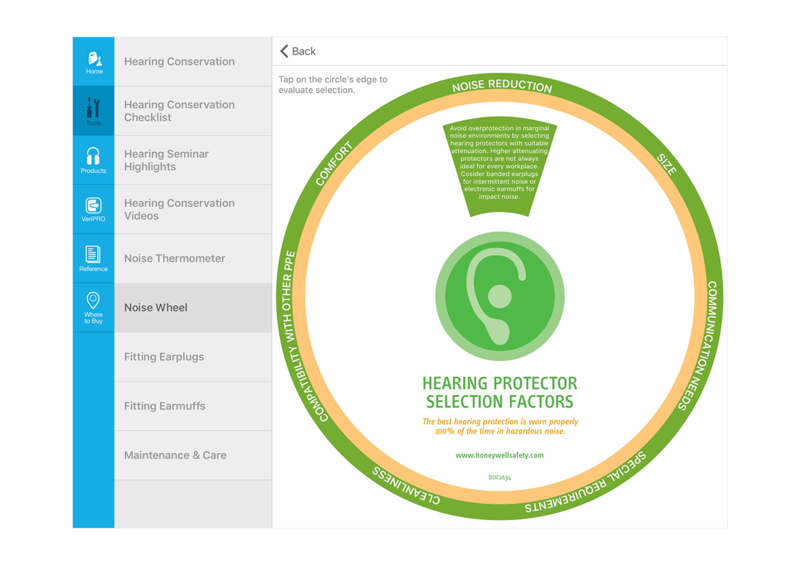 This first-of-its-kind iOS app modernizes the world of hearing protection education. Users can instantly access interactive tools and the latest safety information. 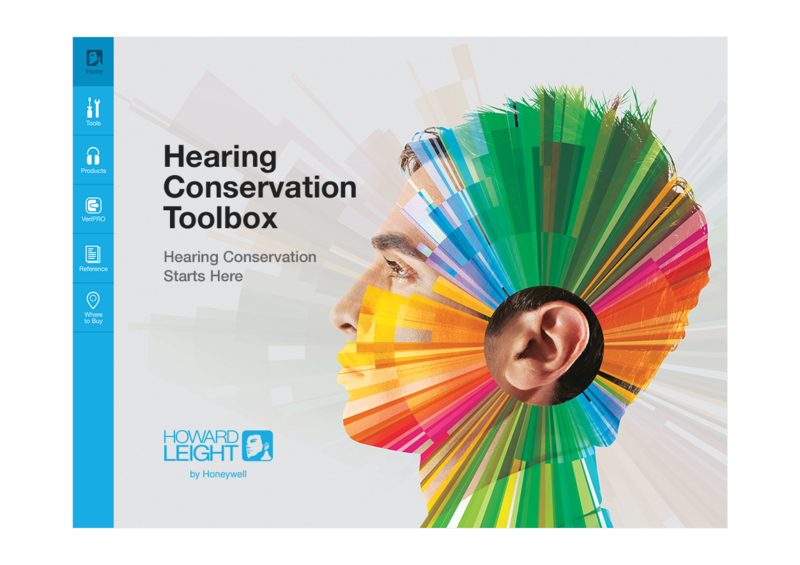 Motionstrand and Howard Leight developed the Hearing Conservation Toolbox in close cooperation with audiologists and safety professionals. 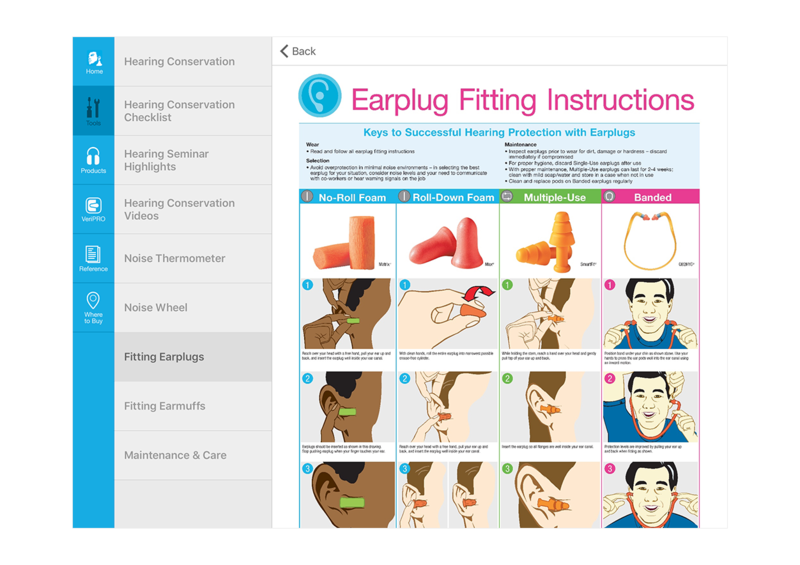 This comprehensive application for iPads makes hearing protection education more accessible, with articles, videos, and infographics that supplement workplace hearing safety programs. Sometimes screenshots don’t suffice. Experience our work in real time, in real life.